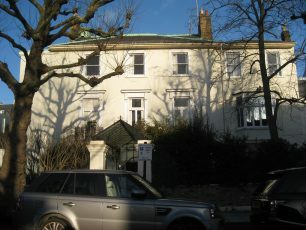 According to Mireille Galinou, in her “Cottages and Villas – the birth of the garden suburb”, ‘the St John’s Wood area was awash with schools from privately-run affairs with a handful of pupils to large-scale schools such as the Orphan Clergy Asylum, created in 1812 before St John’s Wood Road was made, in the middle of fields between the St John’s Chapel and the Cricket Ground. It was designed by Thomas Hardwick who had designed the Chapel. 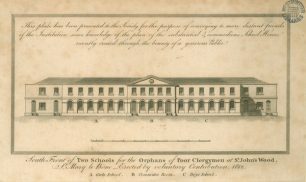 From 1830 the site was shared with a nursery which was a useful source of funds and a ready supply of fruit and vegetables. (hence the ‘nursery end’ of Lords Cricket Ground). 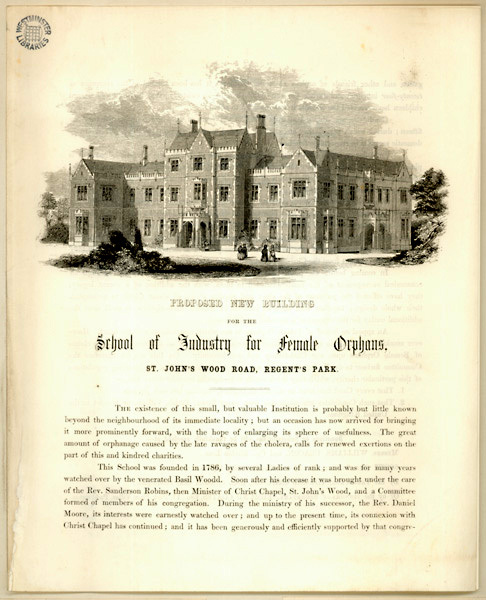 By the 1860s it had become the Clergy Orphan School for Girls, with Mrs Sarah Ann Jones in charge, the boys having been transferred to Canterbury. Other schools emerged at this time. This was a purpose-built school created by Edward Thompson, first vicar of All Saints Church in the late 1840s. (the church itself was consecrated in 1846). 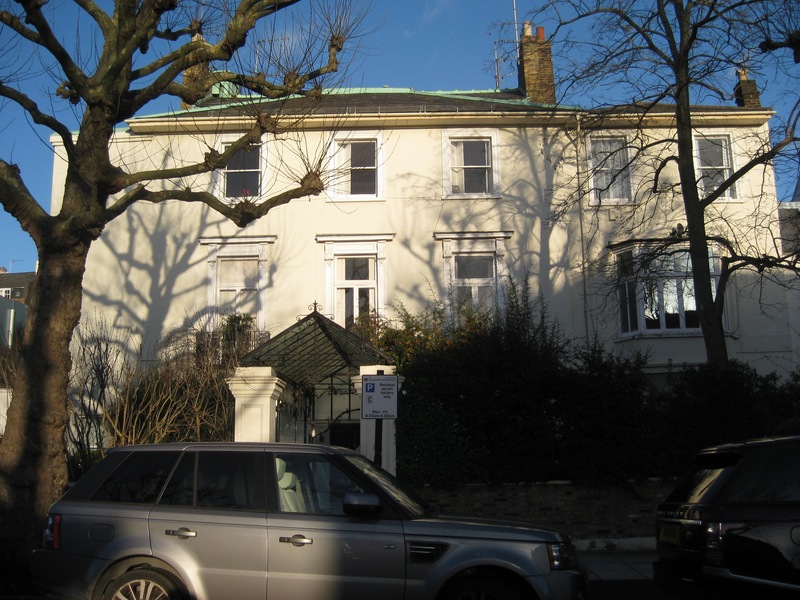 By 1951 it had become the St John’s Wood Library, and currently it is a private house numbered 27a Queen’s Terrace. 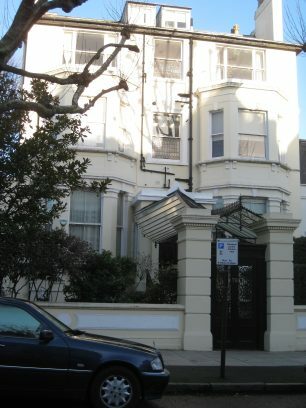 19 (now 48) Hamilton Terrace. 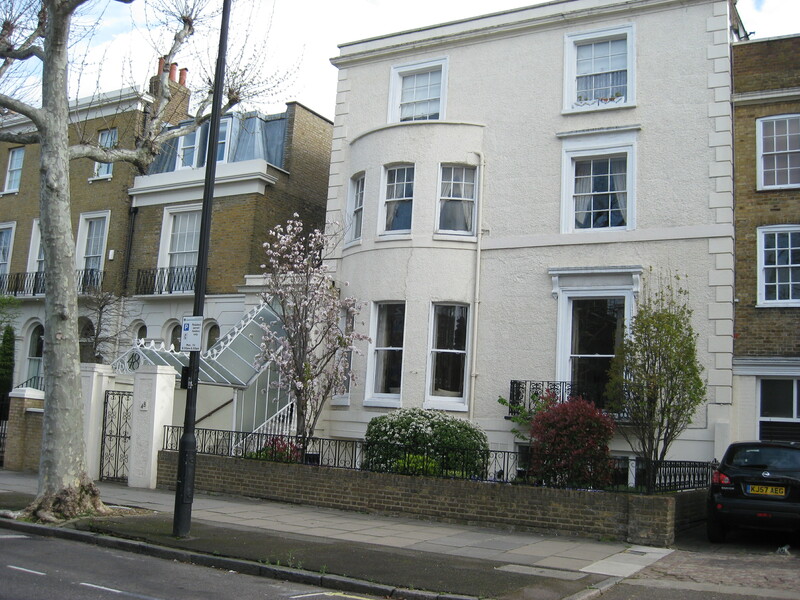 According to the 1841 census there was a seminary here, run by Mrs J. B. Reynolds who was aged 55 and had seven pupils, with two servants to cope with everything. The Misses Munnings, three sisters , ran a seminary here, with 22 “scholars” aged 8 – 15 years. In 1861 Miss Elizabeth Nugent, aged 40, described as a schoolmistress, had one French and one German teacher, one scholar and four staff. Ten years later she had been joined by her sister and with a staff of five taught 17 pupils from all over the country plus Trinidad and Guyana. Mrs Jane Smith’s seminary with 23 pupils was established here. 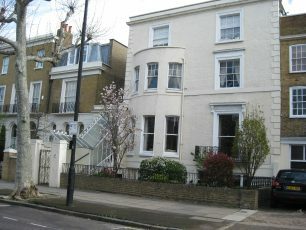 There was a small ladies school (4 pupils and 3 teachers) located at No 16, across the road from where the School of Art later opened. A handsome building was constructed in the 1860s on the south-west corner of Lisson Grove and St John’s Wood Road, with Mrs Semper in charge, Edmund Coates as secretary and Mrs Eliza Pierce as matron. 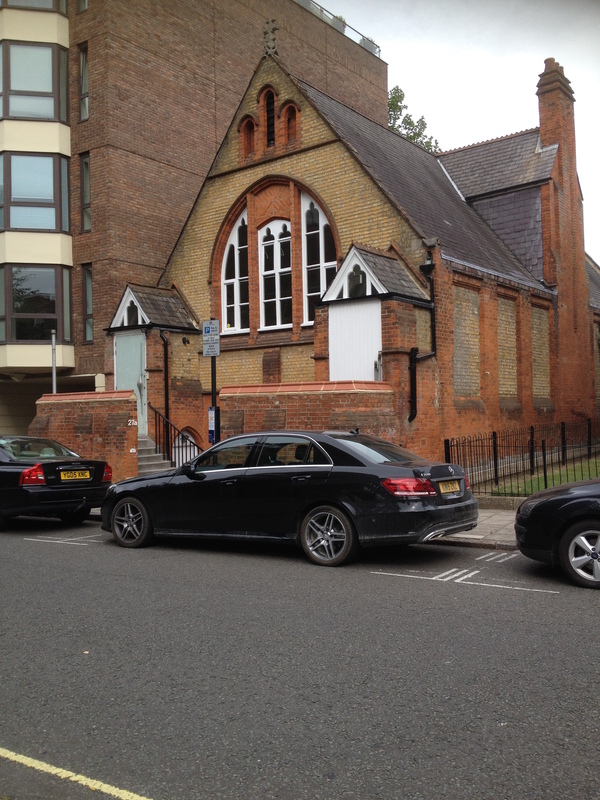 (where Bernard Miles’ Mermaid Theatre was later situated in the garden) was a school run by the Revd H A G Oliver. More about this school can be found under the article “Mermaid Theatre” listed under Music and Musicians on this website. which was a large gothic Victorian church built by Thomas Cundy, had a school founded by Canon Duckworth in the 1870s, rebuilt from the delapidated parish schools on Violet Hill, and with room for 700 pupils. Ashby Haselwood, who had been the Christ Church curate in charge of the initial St Mark Project, became the first vicar. Haselwood moved to have a school founded next to the church for the sons of poor clergy (who were less widespread than now), which became St John’s School. 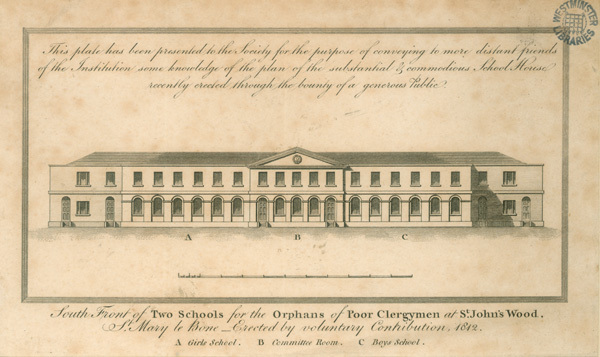 The money for the school was raised, with one wealthy parishioner, Lady Burdett-Coutts, of the banking family, committing more than £600 a year to the project – each pound gave the donor a vote on admissions to the school. St John’s began life next to the church, later shifted to Greville Mount, in Kilburn, and finally moved to Leatherhead in 1872. Haselwood’s curate, Dr Thompson, became its headmaster. The Parish schools, started in 1864, but in a dilapidated state, were rebuilt in 1873 in what is now Violet Hill. This was founded about 1875 and is still operating at Bridgeman Street. (see entries under Schools and Playgrounds). This page was added on 08/04/2016.